A versatile willow that can be used for erosion control. 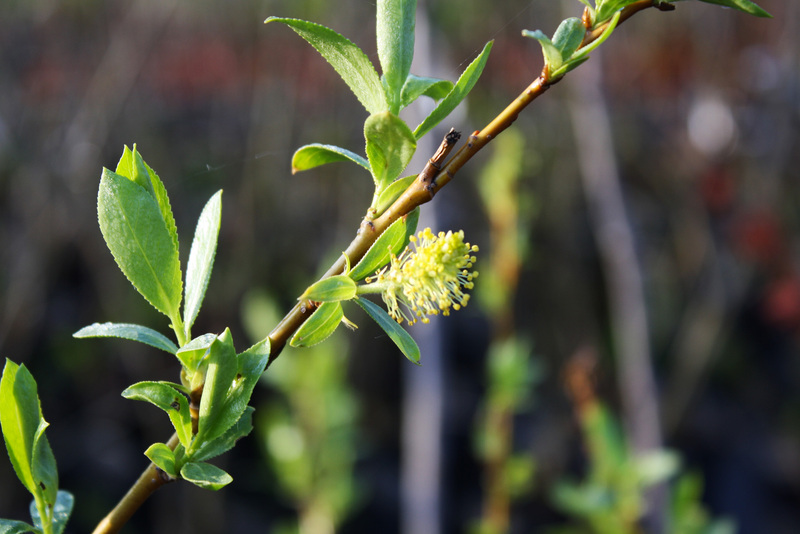 Its flexible stems make it suitable for live willow woven fences. Very slender leaves in comparison with other willow species. Plant is dioecious meaning male and female are separate plants. Attracts pollinators. Important food source for pollinators early in the season. Flower : Yellow, green-brown in dense upright clusters 3”-6” long in May-June.